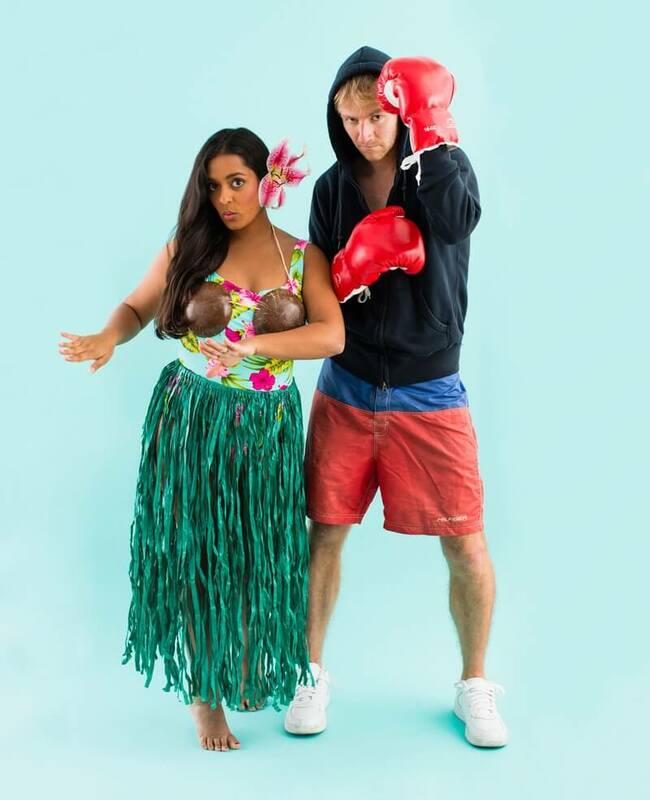 Are you worried that you and your partner have still not zeroed on Halloween costume ideas for couples yet? Well, then you’re at the right place. 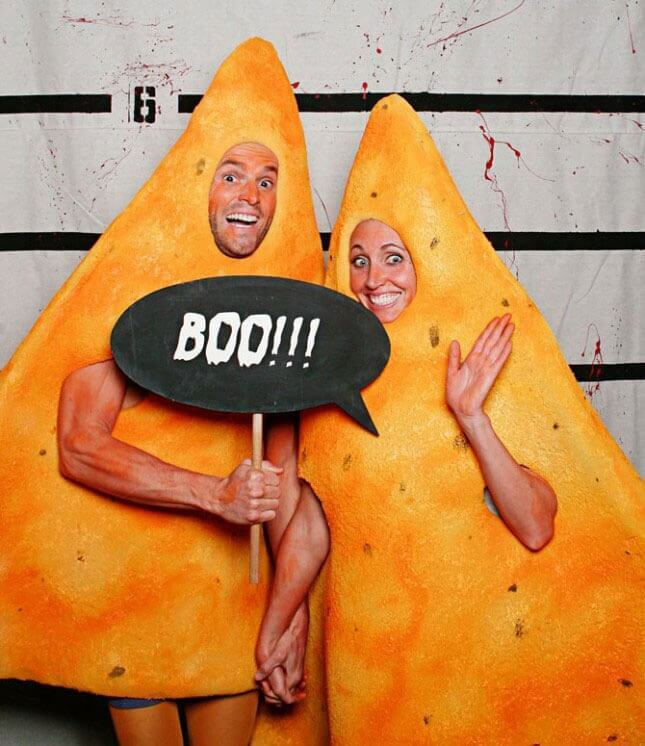 Couple Halloween costume is often given a bad reputation for being corny and even weird to an extent. But it doesn’t always have to be, if you make the right choices. 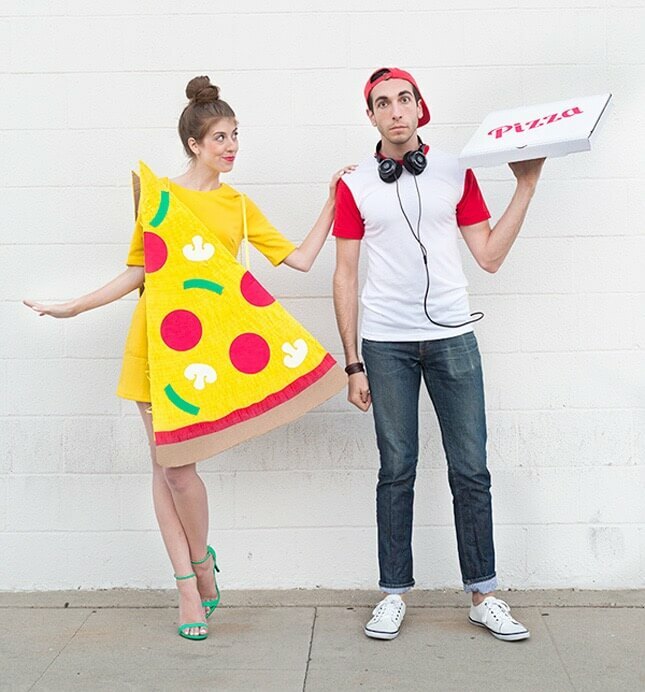 Below we’ve rounded up 30 of the best Halloween costume ideas for couples. Take a look! This one’s really hilarious. 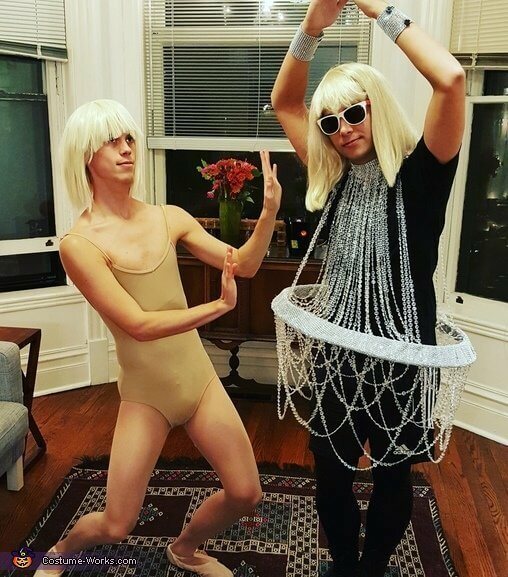 It features Maddie Ziegler and a chandelier from Sia’s music video. We’re confused what to call this, cheesy or cute. But one thing’s sure, it’s definitely unique. At least we haven’t seen something like this before. 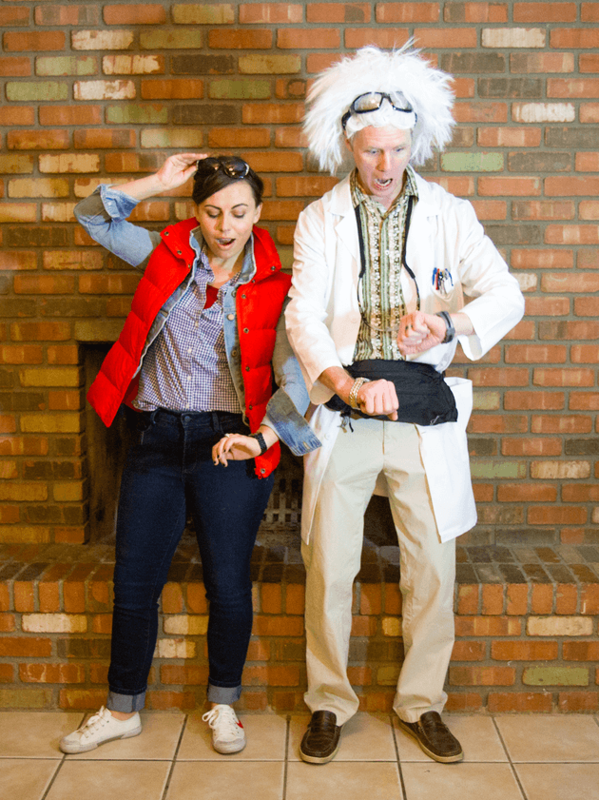 If you’re a sci-fi fan, then you and your partner can try to replicate this “Back to the Future” look. And it’s relatively easy too. Just source the wig. If you wish to create a show stopping look, go for the Harley Quinn and Joker costume, inspired from “Suicide Squad”. This adorable costume is unique on its own, and of course, creative too. And the popularity of “Pokemon Go” may have gone down the drain, but the popularity of the series will never die down. So it’s a safe option. 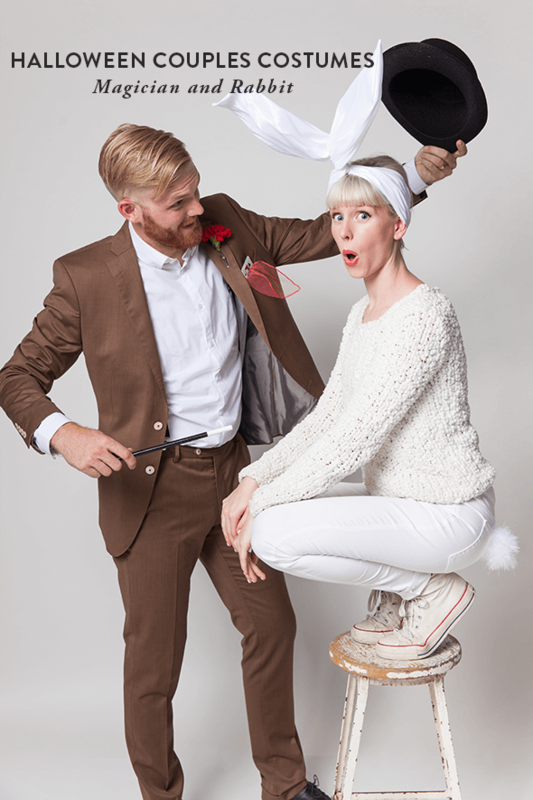 Here’s another classic look you and your spouse can adopt. But remember, you’ll have to go through a full body paint. Are you ready for it? 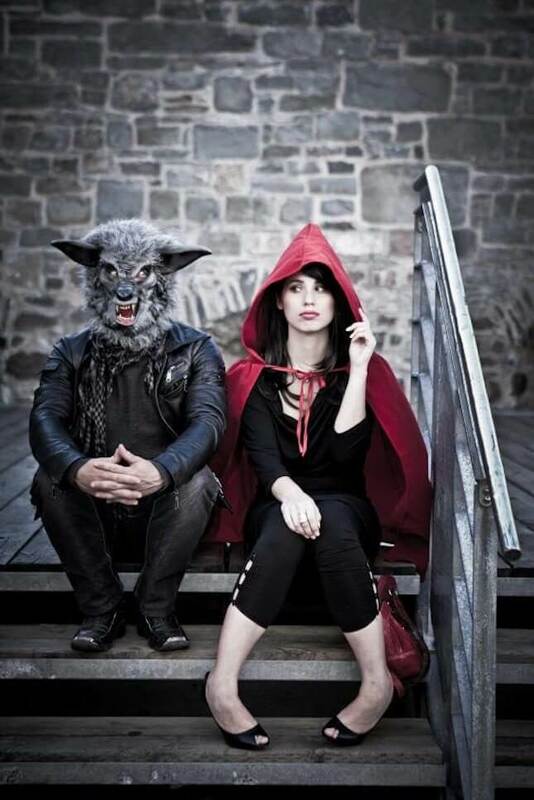 We’ve seen a plethora of variations of this signature look of Red Riding Hood and the Big Bad Wolf, but this one’s our favorite. 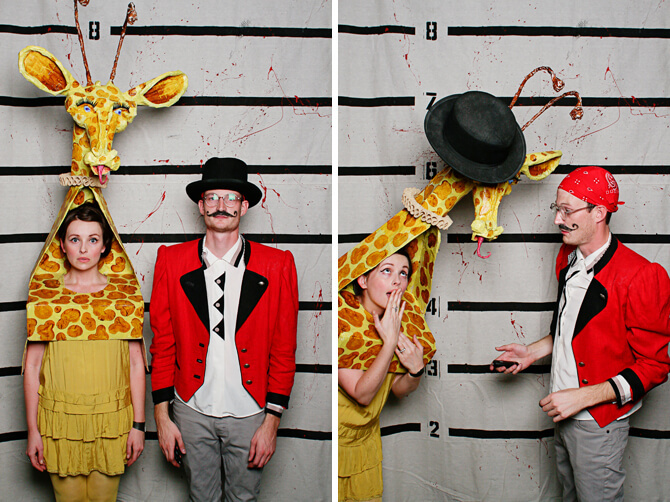 This is one of the most unique Halloween costume ideas for couples we’ve seen in a while. It looks so fun and colorful, isn’t it? Isn’t this awesome? I’m sure every pizza lover would agree with me. And the simplicity of the pizza is making it stand out. This pair from homeland makes an excellent combination and we’d suggest you opt for it, if you’re a fan of them. 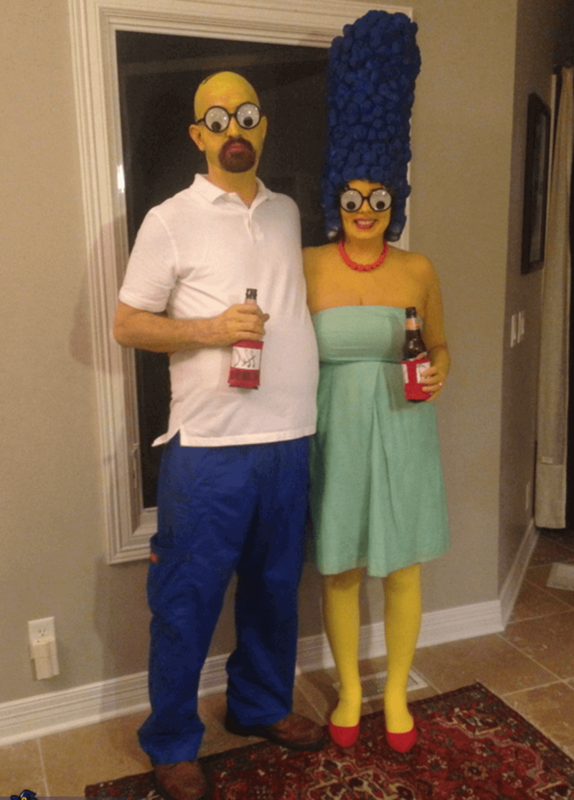 Another classic Halloween couple costume. If you want, you can even deck up as the scarf, instead of a rabbit. 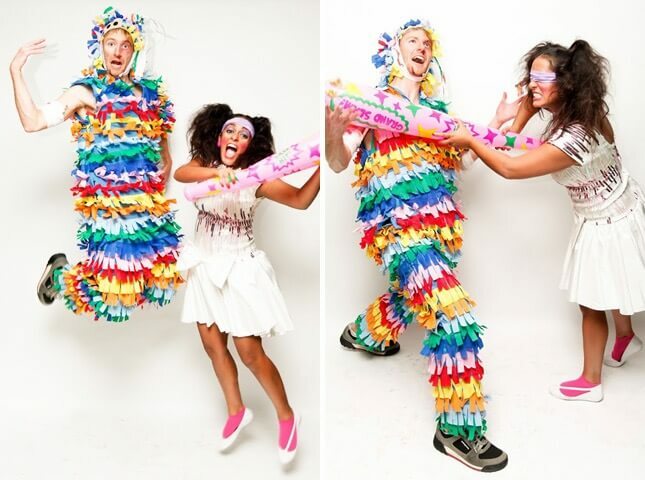 Here’s another fun and uncommon Halloween costume for you refer. It’s sleek, thin and with rounded edges, the makeover it went in the year 1994. The dude looks a bit terrifying, but seriously looks epic. We wonder if your man would agree to wear this outfit. This is such a fresh change from regular Adam and Eve costume. 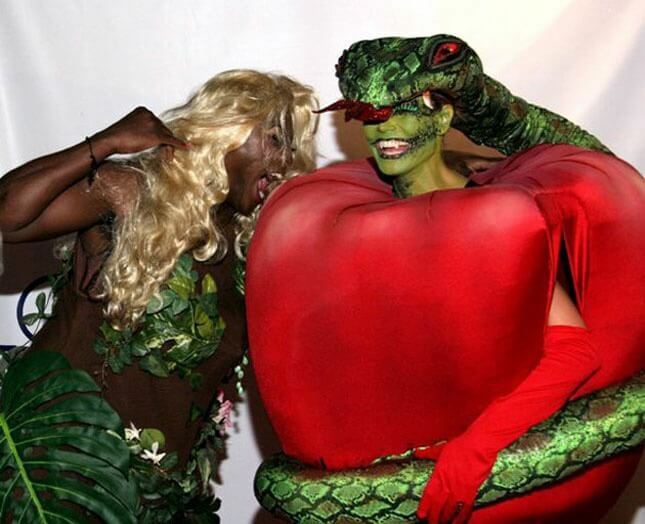 We love the way how this dude is dressed up as both apple and snake in disguise. Talking about cinema, how can we forget the “Princess Bride”? The costume inspired by this cinematic duo is widely popular, even after years of its release. It does require a few extra props, but the end result would be worth it. 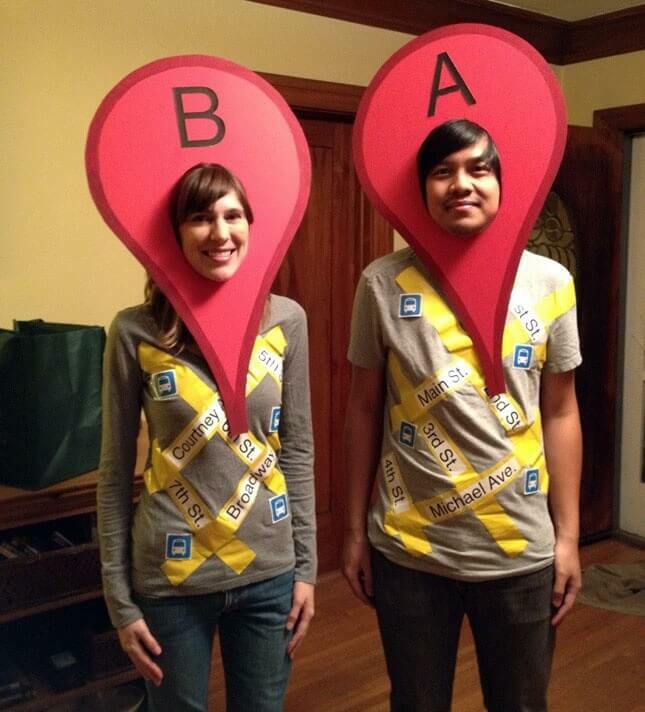 Why be anything else when you can be Google maps? And it will come handy when you’re looking for direction for the Halloween party venue (Just kidding). Now this one’s really punch- Hawaiian+Punch. I’m sure many of you wouldn’t have guessed it. 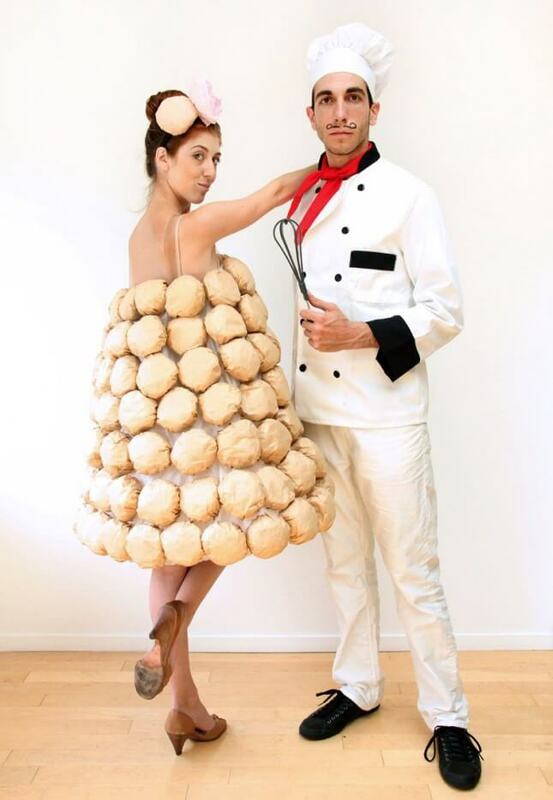 If you’ve always wanted to be a Francophile, then you can dress yourself up as a croquemboche and your husband as the baker. Isn’t that creative. But getting the costume can be cumbersome. You’ll have to get it made. 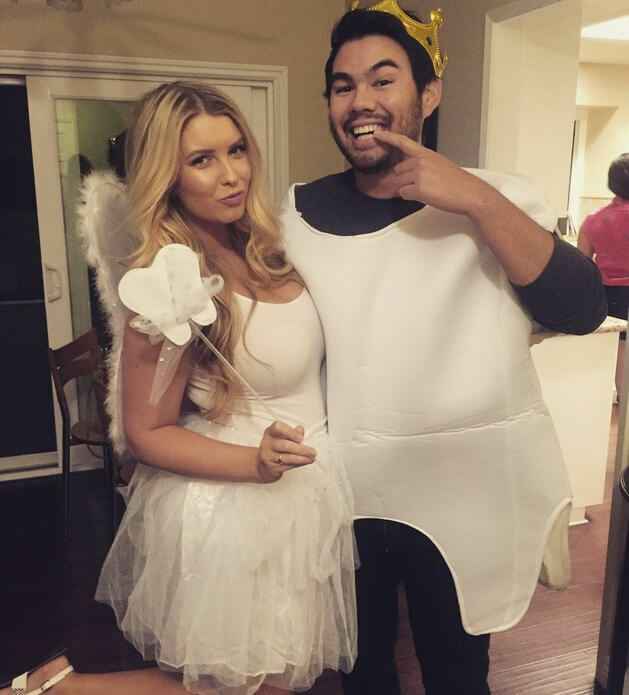 This is seriously the easiest Halloween costume for couples. 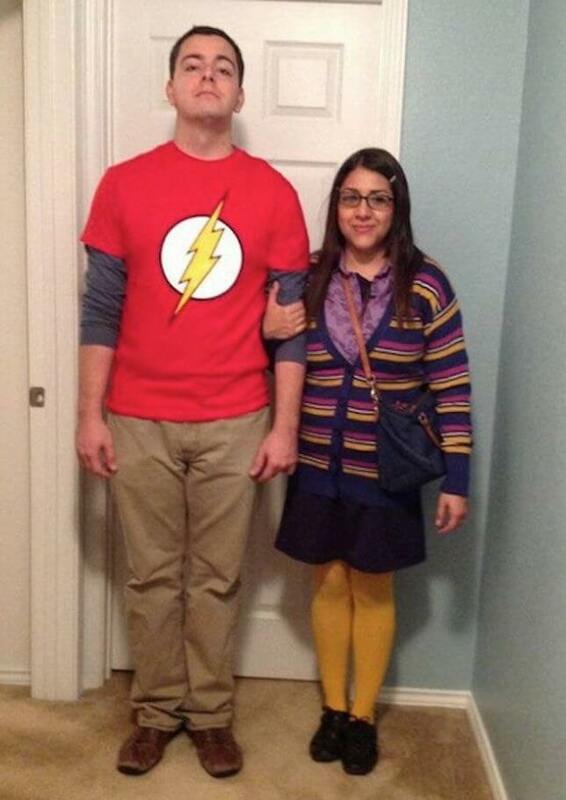 We think it’s an excellent last minute Halloween costume idea for couples. 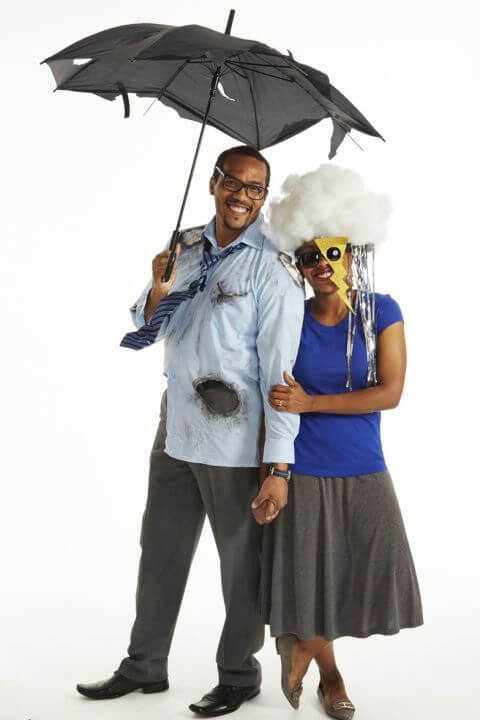 Sparks are bound to fly when you enter the party venue with your spouse dressed as lightning and storm. We found the short cloud really funny. 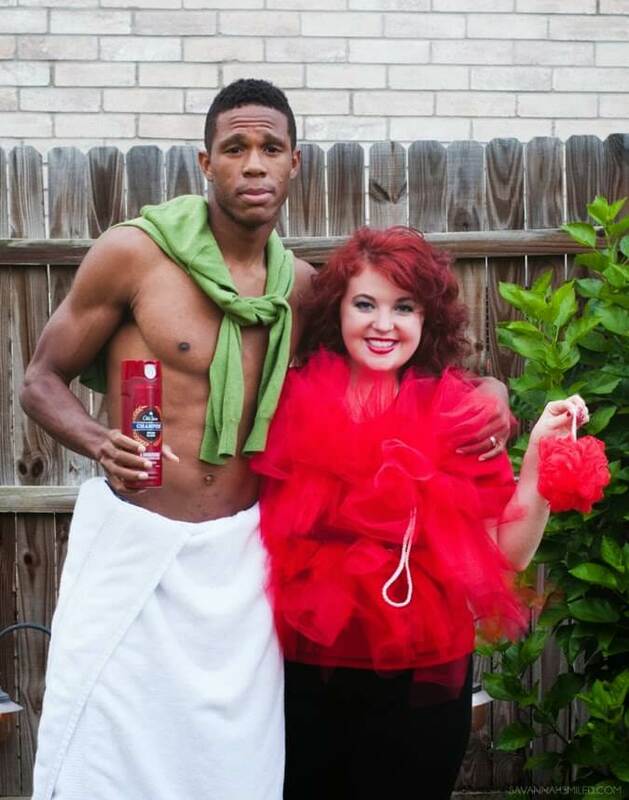 This hot looking couple is inspired by none other than the famous Old Spice commercial. That’s what we call embracing your inner clean self. 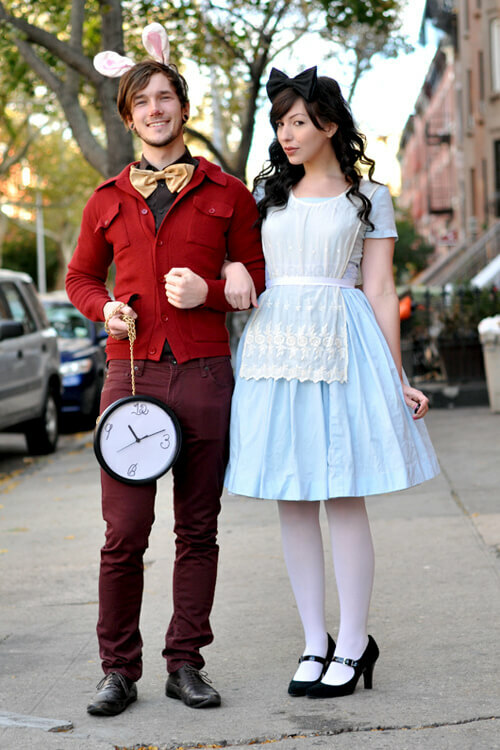 This charming couple costume will make everyone think that they’ve entered the rabbit hole. Just ensure that you reach the Halloween venue on time with it. The man is the ringmaster all perked up about his show with his majestic giraffe. So everyone’s surely getting solid entertainment. 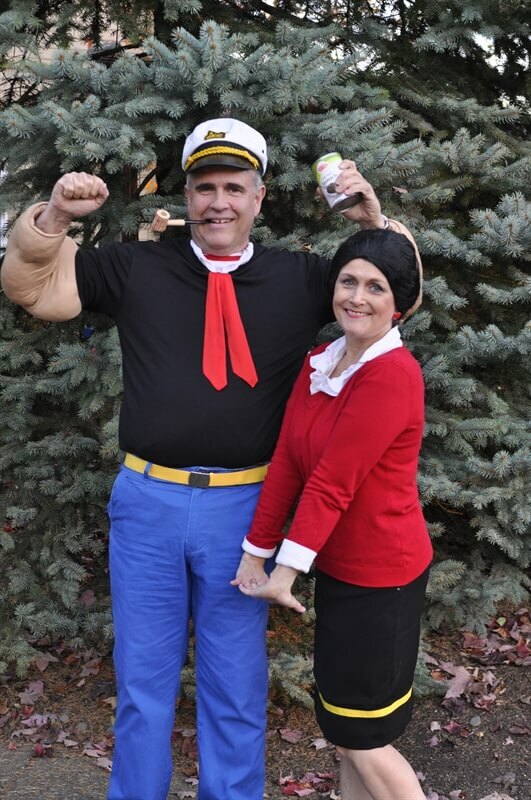 Sail away the Halloween night dressed as one of the most lovable couples of all time, Popeye and Olive Oyl. It’s really easy and fun to replicate. 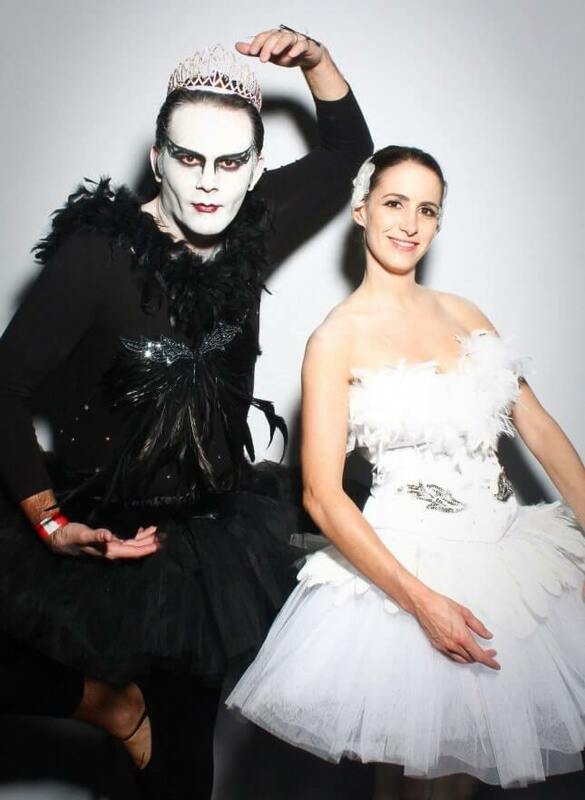 This kooky and creepy couple would be perfect to emulate on the Halloween light. 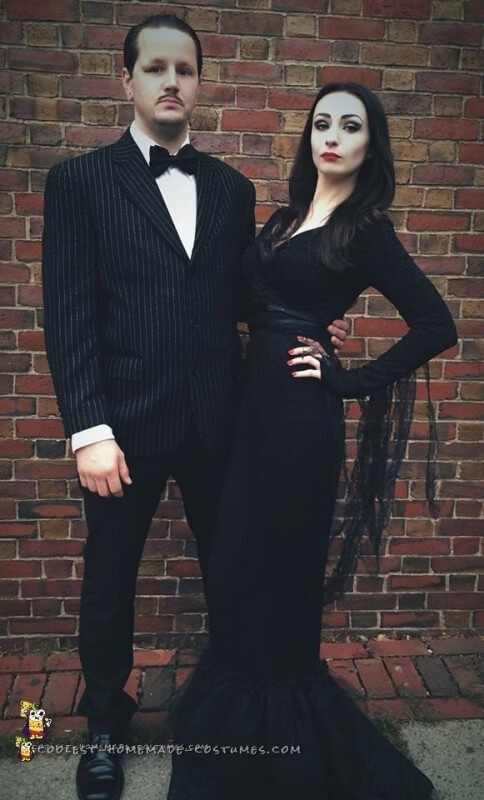 The female has to get the blackest and longest dress out of their wardrobe and the man must dress up in a black suit. Don’t forget the hard glare. 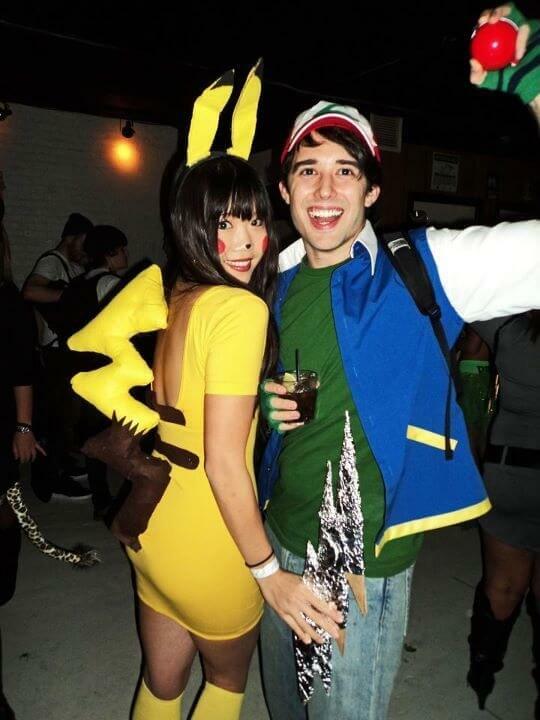 Here’s another great idea for last minute costume. 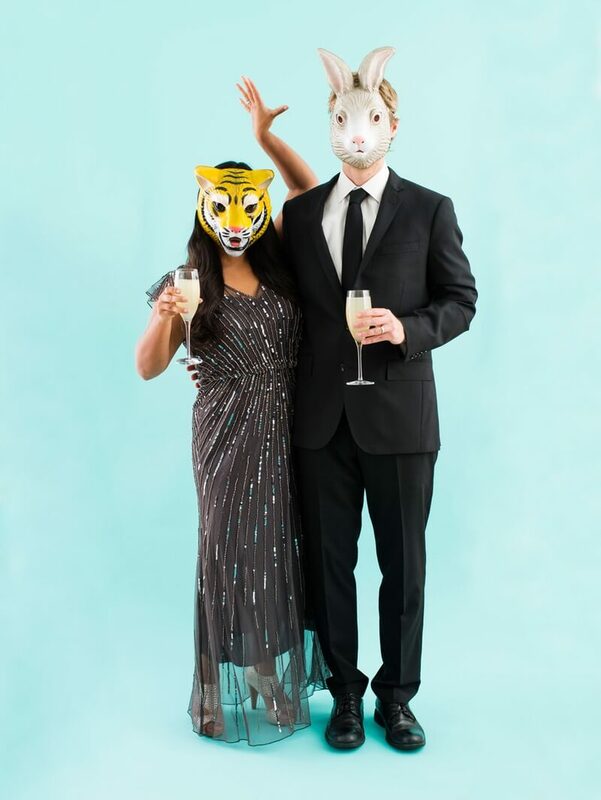 Just dress up in your fanciest outfits and wear animal masks on the face. You guys are the party animals now! 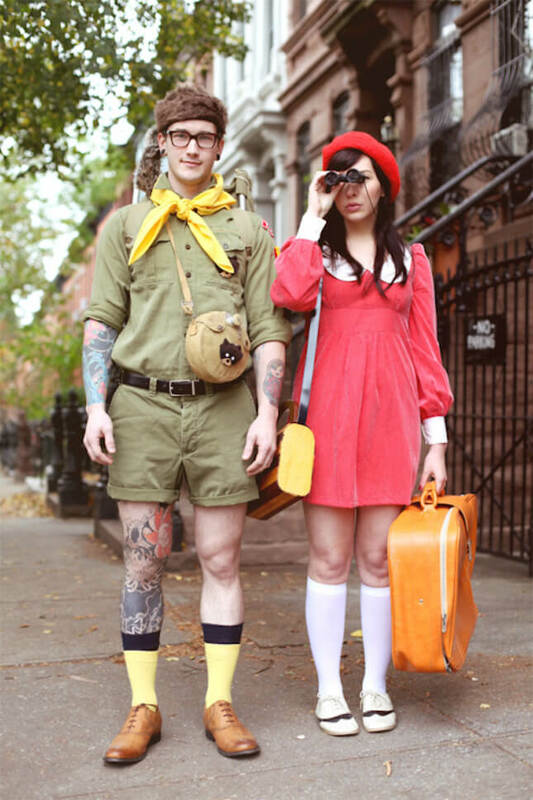 This costume will suggest that you both are either travelers or boy and girl scout. Either way, it’ll make a happening costume. Forget for a while what Sheldon would think about a holiday like Halloween, and enjoy as Sheldon and Amy at the Halloween party. 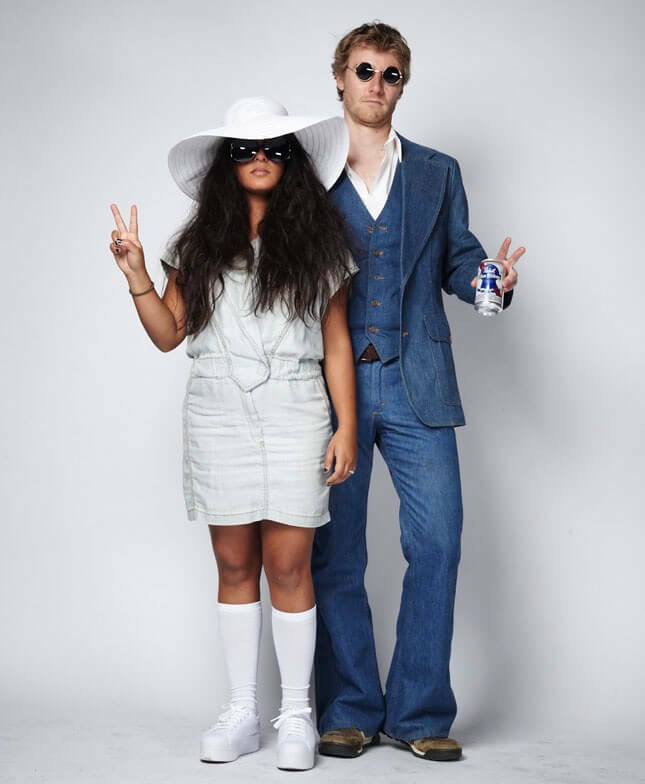 Channelize your inner rockstar by dressing up as John Lennon and Yoko Ono. 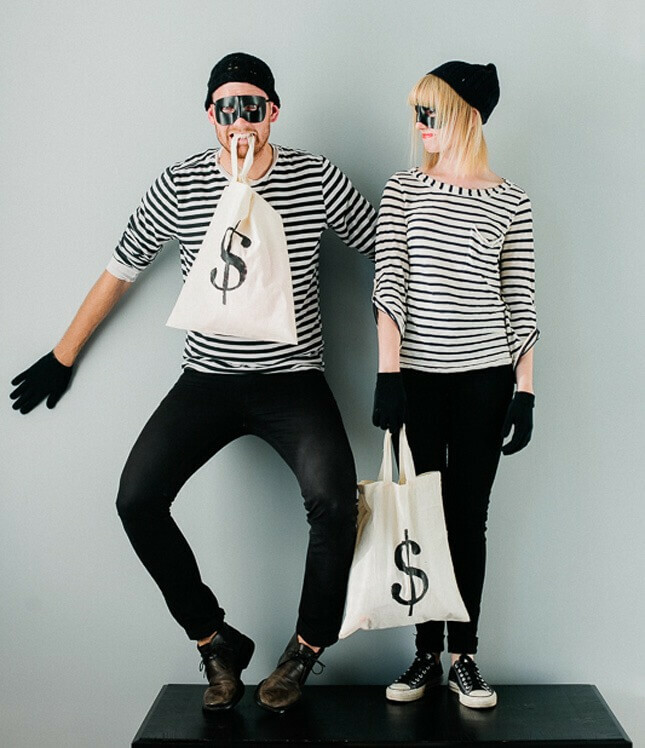 So these were the best Halloween costume ideas for couples for the year 2017. 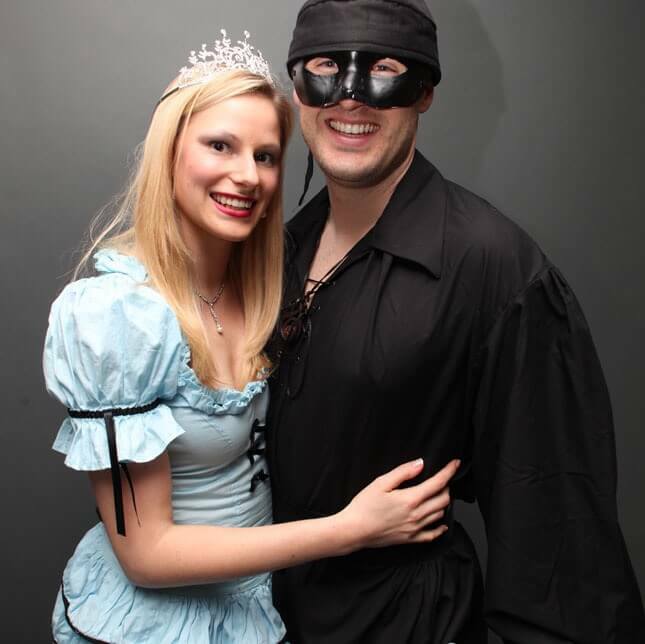 We’d love to see how you and your spouse dressed up for the Halloween party. So leave us your pictures below. 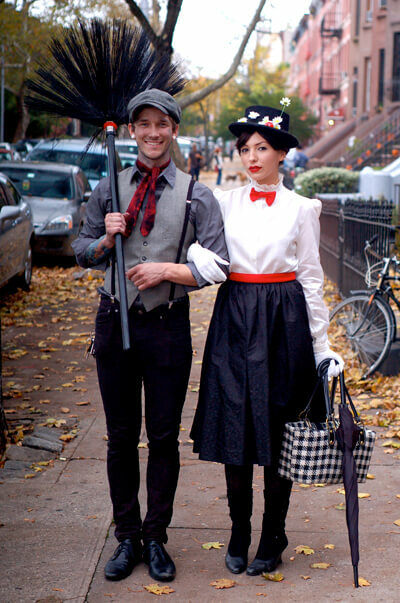 And don’t forget to share your favorite Halloween costume ideas for couples.